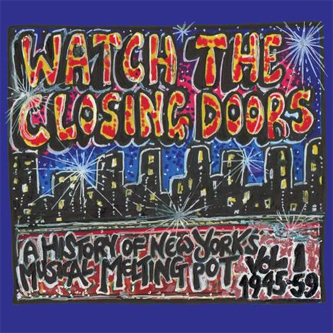 Various Artists - Watch The Closing Doors: A History Of New York&#39;s Musical Melting Pot, Vol. 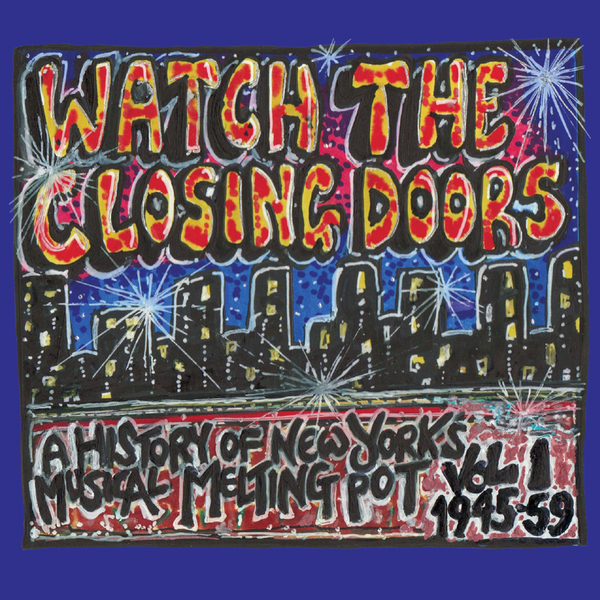 "Watch The Closing Doors: A History of New York’s Musical Melting Pot is a compilation by renowned journalist and author Kris Needs. This ambitious project is released throughout 2011 via Year Zero and it is aiming to capture the fast-vanishing magic of New York City while documenting major musical landmarks and developments, from post-war New York of the mid 1940s through to 2000s. The first volume focuses on the 1940s and 50s, setting the scene for a further five sets, straddling the 60s, 70s, 80s, 90s and 2000s, each accompanied by a book containing the relevant musical and social history, artist biographies, illustrations and Needs’ own stories and recollections of the city that once never slept. Kris explains ‘One of the aims of the series is to document and celebrate this lost city before it totally disappears, give it some unity and due respect, while striving to explain why the New York of the last half of the 20th century was the most exciting place on Earth. The buildings and individuals might be disappearing, but that indefinable spirit which affected so many has thankfully been captured for posterity on countless records, standing like snapshots of a bygone age, the tip of a mighty iceberg which will be gathered on these albums like an old photo album.’"